The story about Aria is not that it was EVstudio’s first international multifamily project, the first of several more to come. 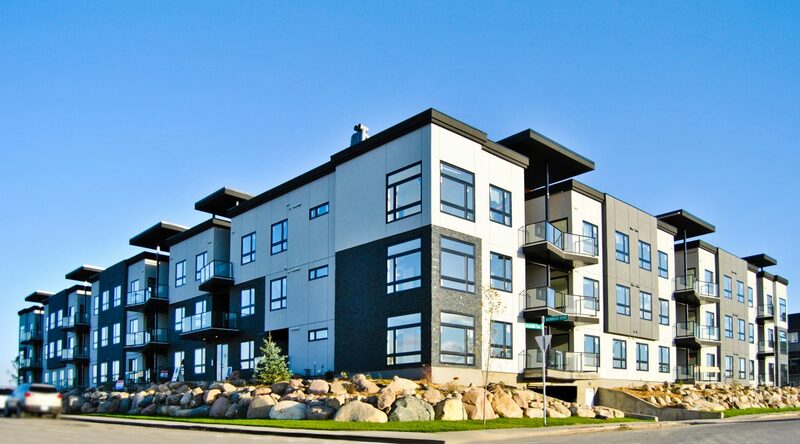 As exciting as that was for us, the real story behind Aria was the total revolution this project created in the booming college town of Saskatoon, Saskatchewan. 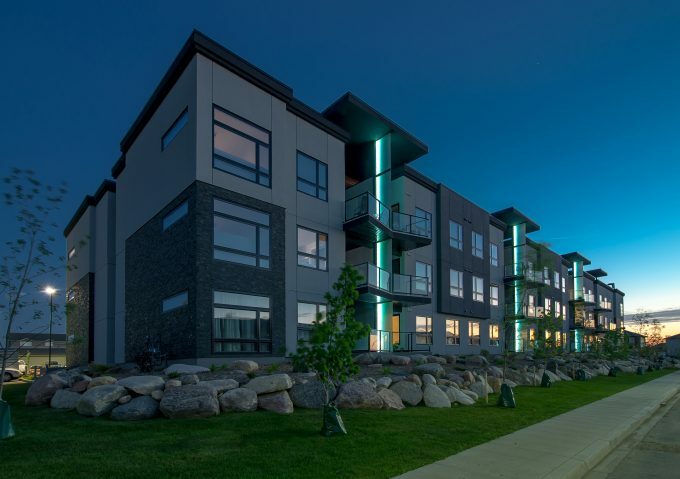 A 66 unit podium project with heated underground parkade, the modern design aesthetic situated among Saskatchewan’s otherwise arguably sleepy architecture has completely captivated the residents, the community and even the local politicians. Serving as the new aesthetic model to achieve for multifamily design, other developers in the area quickly clamored to emulate the floor-ceiling windows, the backlit glass railings and accents, and the floating cantilevered rooflines on their subsequent projects with high success. Why did they do this? Because Aria sold out in record time with record numbers in an immediate area that has units that have stayed on the market for months after completion. Aria was truly a perfect example of a philosophy we firmly believe in at EVstudio: great design sells (quickly and at top dollar no less)!